Dar es Salaam’s alternative market stock exchange will open on Thursday, November 7th with Maendeleo Bank as the first listing. Dar es Salaam’s alternative stock exchange will open next Thursday, November 7th with Maendeleo Bank as the first listing. The alternative market, known as the Enterprise Growth Market (EGM), will target start-up businesses and business refinancing in an effort to help Small and Medium Enterprises raise capital and thrive in the Tanzanian market. Maendeleo Bank has put eight-million shares on primary sales with an underwriting option to sell additional 1.2 million shares. The currently shares price is TZS 500 in lots of 100 or multiples of 10. Maendeleo Bank is the first qualifying firm for the EGM after making an Initial Public Offer (IPO). Mwanza Community Bank, currently in the IPO stage, is the second possible company to be listed at the alternative market. 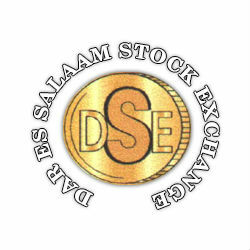 The Dar es Salaam Stock Exchange has been trading since 1998, and as of October 2013 there were seventeen listed companies, eight government bonds, and five corporate bonds.